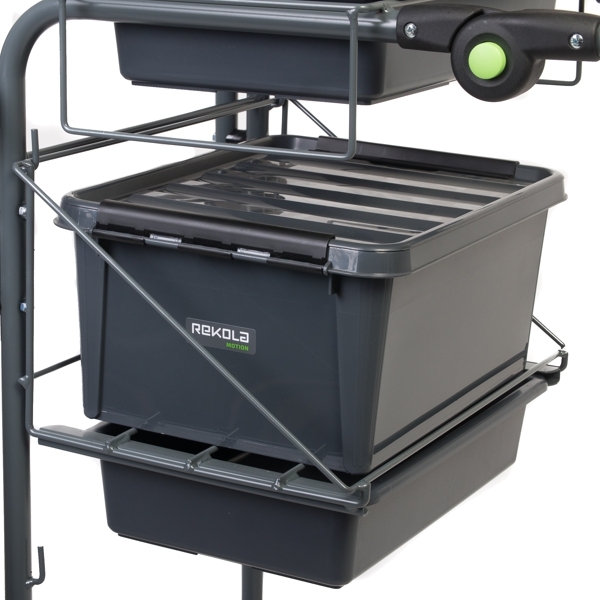 This model has two 6 L buckets on top and a frame for a 15 L box with lid and slider for a 4 L tray for small items. 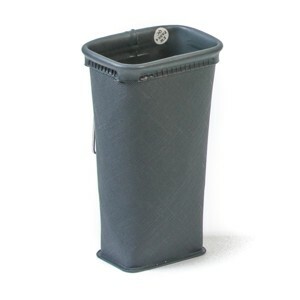 Below is a large metal basket. 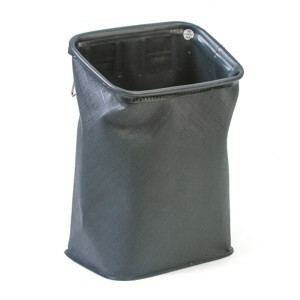 On both sides of the buckets there is space for different type of EVA boxes. 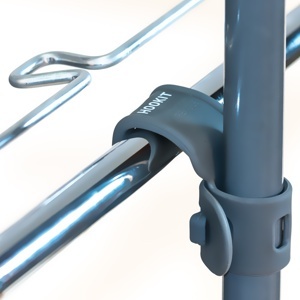 If needed you can also have two metal baskets. 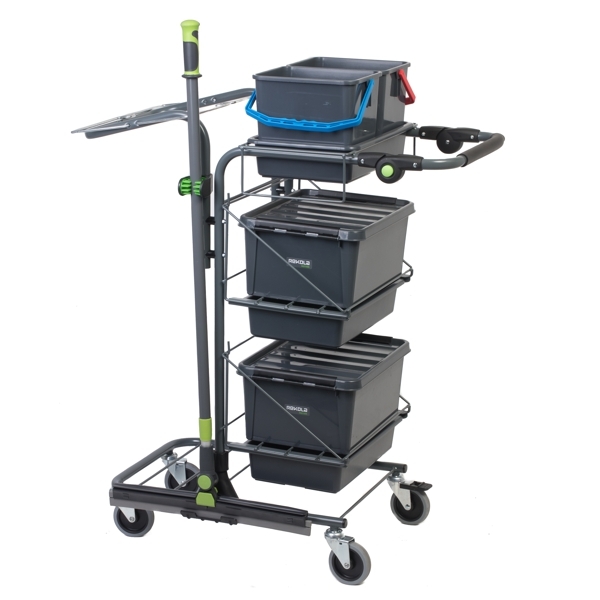 This trolley can also be set up to have two frames for 15 L boxes. 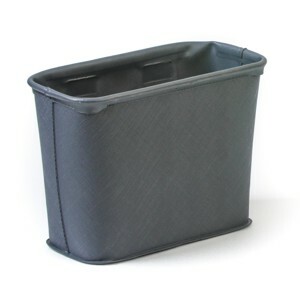 A frame for the 15 L box with lid and slider for a 4 L tray. 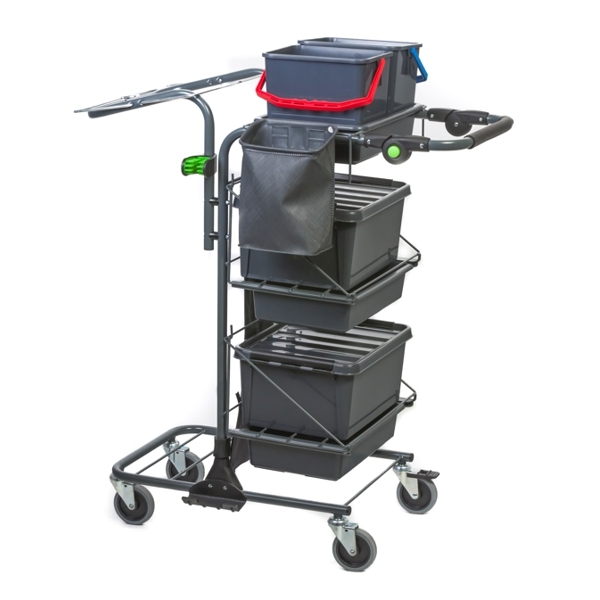 The P1 trolley is designed to hold 2x6 liter buckets but the trolleys flexibility means you can choose different combinations, for example a 15 liter box(es) with 4 liter tray(s), but depending on your capacity needs we have a solution from our Rekola AddOn product range to suit. 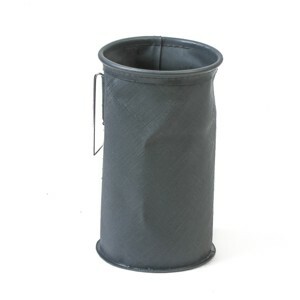 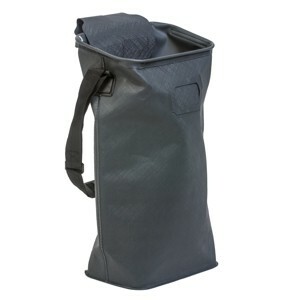 Our unique AddOn range includes special waterproof EVA pouches for bottles, cloths, mop bag for dirty Reflex cloths and small items and holder for Duster; and special canvas parts for plastic bag rolls. 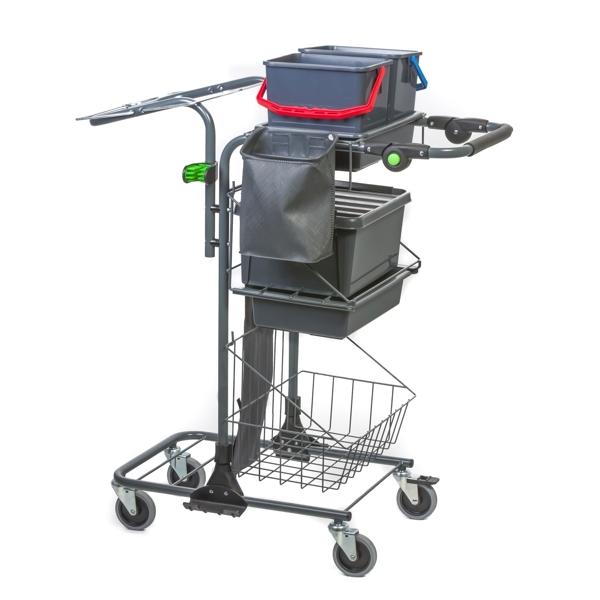 All Rekola AddOn products will improve the functionality and performance of the trolley making cleaning and facilitating more efficient.